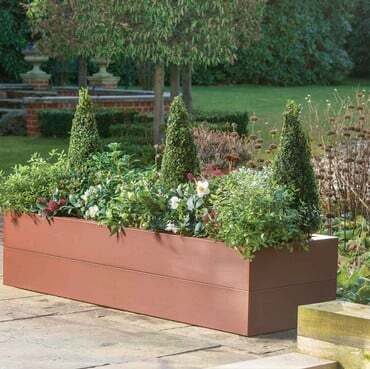 Our Metal Raised Bed Liners have been carefully designed to fit our exclusive metal raised beds with various sizes and depths, providing added protection if the beds are on hardstanding areas and will also help water retention and prevent soil washing out of the raised beds. 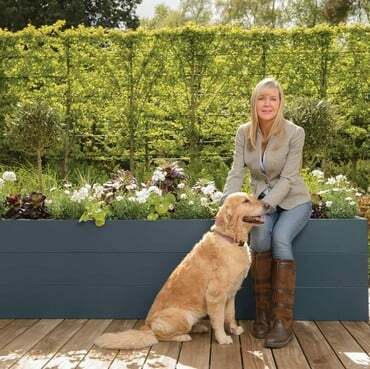 Whether you are locating your metal raised bed on a hard surface or open ground we'd thoroughly recommend using one of our thick, one piece, polypropylene fabric raised bed liners. 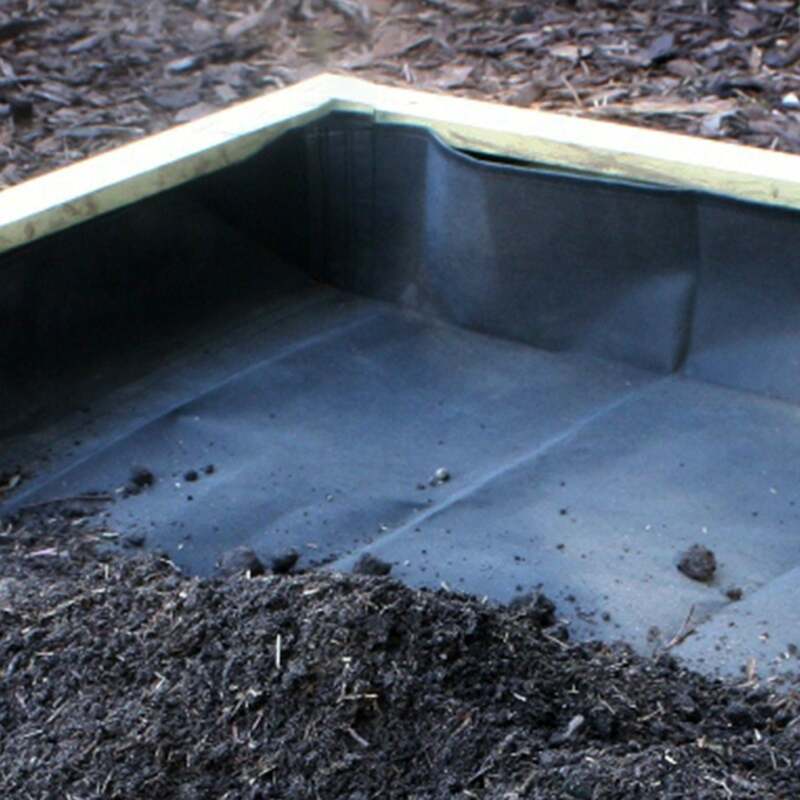 The porous material of the liner helps water retention, prevents the compost and soil from running out and also prevents weeds from growing through beneath. 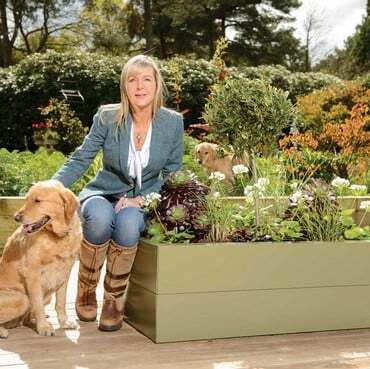 Our raised bed liners are available in a range of sizes to fit our Metal Raised Beds. 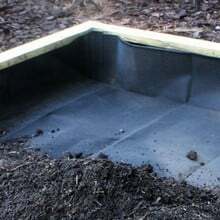 Please Note: Raised Bed Liners are not available for every size and height please see list below for size availability. If the bed is positioned over ground with persistent weeds they may push through so we recommend using a liner to help prevent this and weeding beforehand. Weeds are suppressed more when growing in raised beds as the crops can be planted closer together due to the fertile well aerated soil. This is more likely to starve the weeds of light and nutrients. Also the lighter, un-trampled condition of the soil makes weeding a doddle. 2. Do raised beds require more watering? It very much depends on what you are comparing them to and what substrate they are sitting on. If you have very sandy soil in your garden and you switch to raised bed gardening, you can select a soil for the raised beds that is better at retaining water, coupled with a liner this will help reduce water loss. Raised beds will warm up faster than a traditional bed so you do need to keep an eye on how dry the soil is. If the soil under the bed is heavy clay and water logged, obviously drainage may be a problem. A few inches of gravel in the base of the bed will help in this situation. 3. How much soil do I need to fill my bed? 4. Do you need to put anything in the raised bed to help with drainage? This depends on where the raised bed will be situated in the garden. If the raised bed is being placed directly onto soil the drainage should not be a problem because the excess water will drain through the grass/soil underneath it. If the soil is heavy clay and water logged obviously drainage may still be a problem. A few inches of gravel in the base of the bed will help in this situation. On free draining soil a liner may help conserve water as it will prevent the water draining too fast. consider the type of soil/compost that you are going to fill the bed with and tailor it to suit the site. If the raised bed is being placed onto a patio, we recommend lining the inside of the bed, this will help retain water and also prevent fine sand from washing out of the bed onto the patio.